Our Deluxe Villas offer a comfortable stay for traveller’s requiring two bedrooms. The Villa’s have a full sized bathroom, kitchen and have an open plan dining/lounge area. 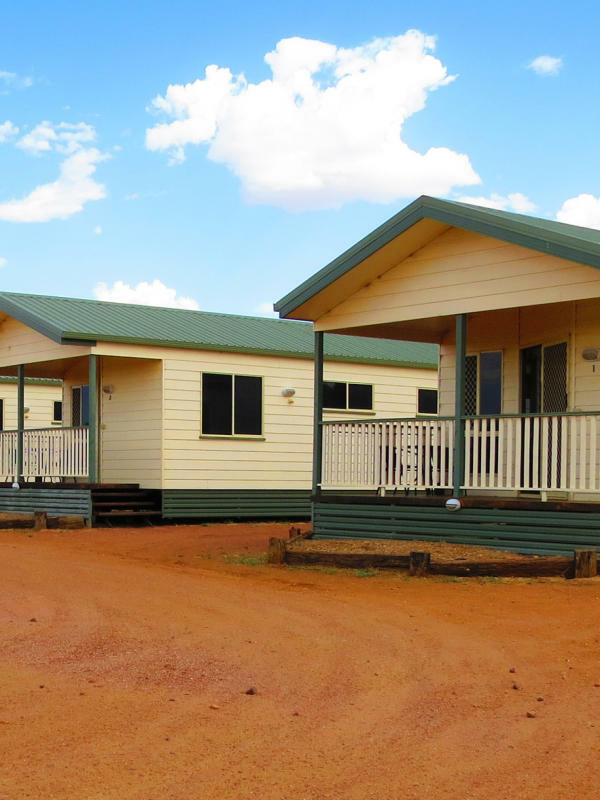 These cabins are ideal for family’s, two couples or 4 adults travelling together. Our Deluxe Family Villas cater for Parents travelling with their kids. This two bedroom cabin has a queen bed in one room and 2 bunks in the other providing accommodation for up to 6 people. The Deluxe Cabins are a open planned modern unit with a queen bed, ensuite and small kitchenette. 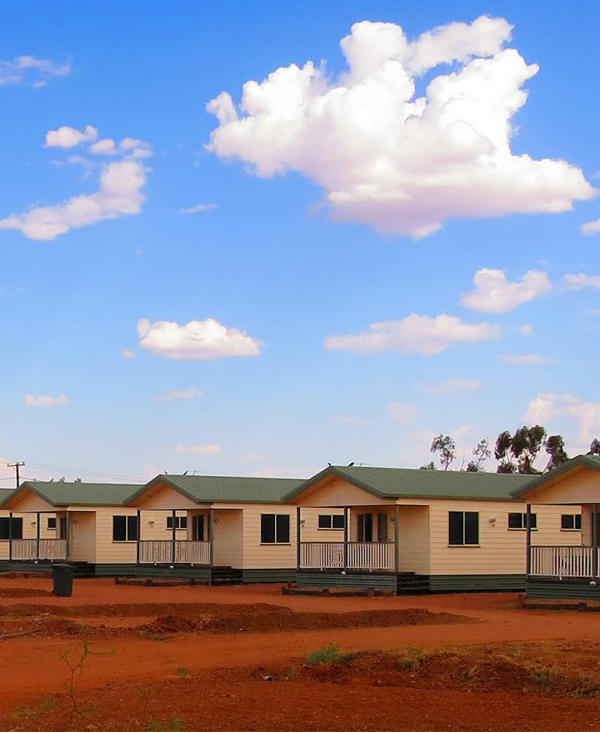 These colourful cabins are ideal for the couple enjoying their outback escape. All accommodation is self contained, linen is provided.